This cutting edge treatment is an advanced type of Micro-needling that is far superior to any other currently on the market. 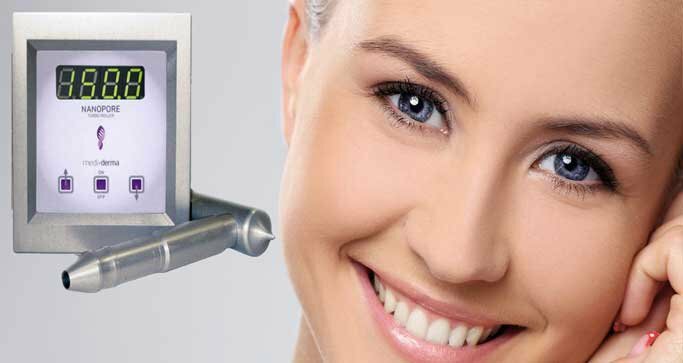 The reason for this is that unlike other similar Micro-needling procedures the Nano Pore requires very minimal downtime with less irritation and no need for anaesthetic creams. The treatment creates maximum collagen stimulation whilst increasing cell and collagen production. The process then combines all the benefits of non invasive Mesotherapy with non invasive filler to escalate the treatment to an unrivalled level. The Nano Pore Turbo Roller comes from the multi award winning world leaders in Nano Dermatology, Sesderma. Sesderma are one of the most heavily funded forward thinking skin brands out there, no other skin company can boast 99.7% skin penetration through their products. Here at Clinic 33 we strive to bring you the best of what the Aesthetic market has to offer for simple, effective and affordable treatments. We are the only Clinic in the south east to have this procedure and have had 100% success with it since.